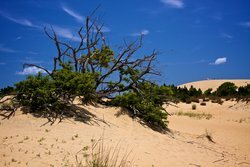 Our hotel near Jockey’s Ridge State Park, the tallest dune system on the east coast, provides ideal accommodations for exploring the park's with 426 acres. The state park covers three different ecosystems: the Roanoke Sound, a living dune system, and the maritime forest. The park is open all year round, and admission and parking are free! For world-class kite-flying, come to the windy dunes. Made up of three shifting sand peaks with grasses at the base, the dunes are one of a unique attraction in the Outer Banks. When it rains, you’ll find small pools at the base of the dunes. For something extra special, sign up for hang-gliding classes! There’s a reason this windy region of the United States was where the Wright Brothers flew for the first time. 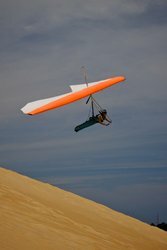 Even if hang-gliding or sand surfing isn’t for you, the view from the top of the dunes is still worth the climb! 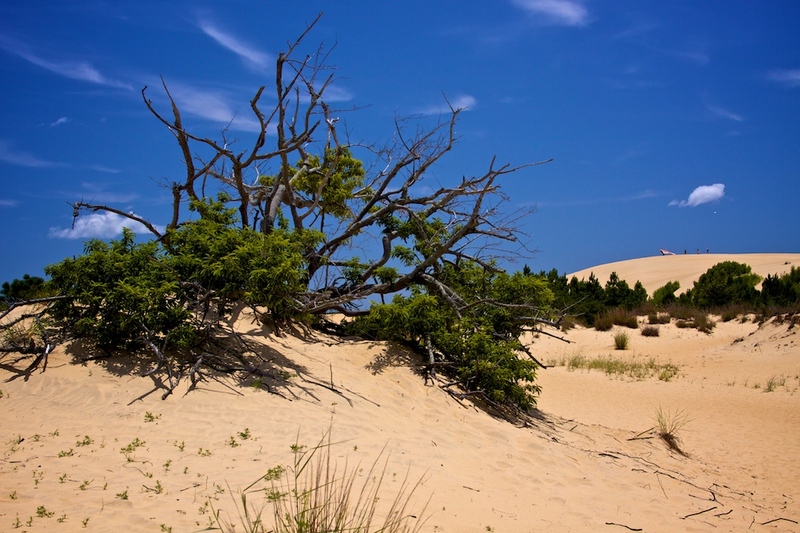 Past the sand dunes, nature lovers and hikers can explore the ecosystems created by the dunes. Typical Carolinian live oaks and other plants grow in the area protected by the dunes. The harsh ocean winds and salt spray mean that the flourishing plants grow more like shrubs. You may even see some wild animals here, including deer and foxes! The larger Roanoke Sound borders Jockey's Ridge State Park, and miles of nature trails wind through the lush ecological environment. The Soundside Nature Trail is a one mile loop from the parking lot to an overlook, which will take you through this first-class estuary. There is lots of bird life throughout the marsh! 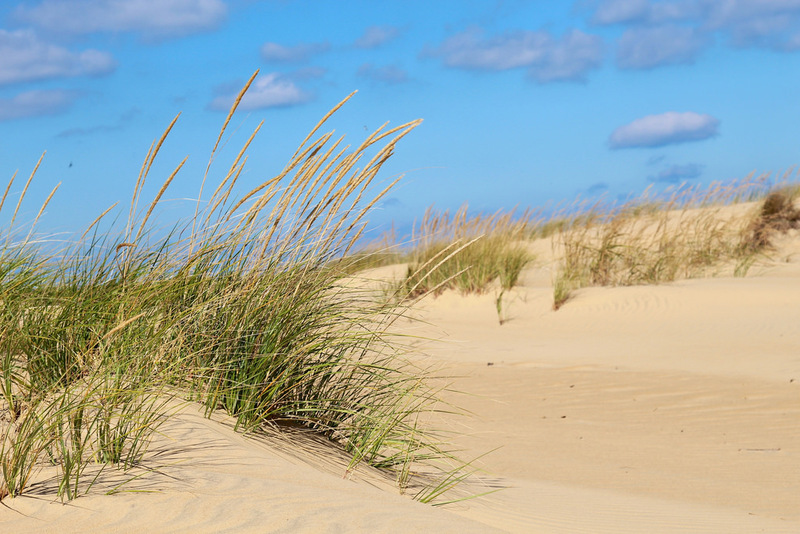 Stay at our hotel near Jockey Ridge State Park for beautiful beach walks, lush wildlife and windswept landscapes.